“We are pleased to welcome Syska Group! Here’s looking forward to a continuing strong partnership with them and an exciting tournament”, said Ronnie Screwvala, founder U Sports. 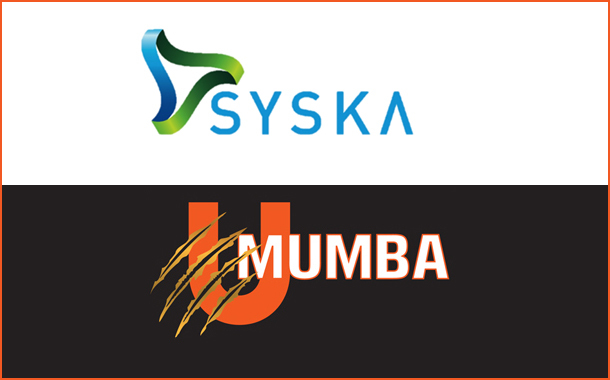 “U Mumba welcomes Syska. We believe that an association with Syska as a Grooming Partner is another effort in further raising the profile and grooming benchmarks of U Mumba Players. U Mumba is committed to the sport of kabaddi and will be putting in all the efforts to grow the sport at all levels and benefit those who chose to take up the sport along with us. We look forward and are committed to a long-standing association with Syska.” said Supratik Sen, CEO and Co-Founder U Sports. 2018 Pro Kabaddi League is the 6th Season of the tournament. The three-month long tournament kicked off at the Jawaharlal Nehru Indoor Stadium in Chennai on Sunday, 7th October. Twelve teams comprising over 200 players will compete over 3 months for the trophy of the tournament’s sixth edition with matches across Chennai, Jaipur, Hyderabad, Bengaluru, Delhi, Ahmedabad, Greater Noida, Sonipat, Pune, Mumbai, Patna, Kolkata and Kochi. The first match of the league was played between Tamil Thalaivas Vs Patna Pirates wherein Tamil Thalaivas won by 16 points.